"Performances at charitable functions are exempt fromlicense or royalty requirements only if the performances have no direct orindirect commercial advantage and if no one involved with the performance,including any of the events’ performers, organizers, or promoters, is paid, andthere is no direct or indirect admission charge." If you were asking people to pay for your transcriptions, that's when you would need permission from the copyright holders. But you're not. Posting 'em here or anywhere that somebody can grab 'em and print 'em is in fact a form of publishing, it's electronic publishing. And actually, you have it backwards. Performing them can be a problem. If you perform a copyrighted song in a pub or restaurant that isn't licensed for it, then you and the venue are infringing on the creator's copyright. That's why unlicensed venues often insist that musicians only play original or public domain music. Performing for charity is one thing, the listener doesn't get to keep a tangible item after hearing the performance. That's why sheet music is different. It's a tangible good just like a record. And when it comes to records and movies, making copies and distributing 'em, even for free, is called "piracy". Sheet music IS subject to copyright laws. The copyright holder is listed on every piece of legitimate sheet music I've ever seen. What do you think the "publishing segment" of royalties covers? How about folks associated with a band who are given a songwriting credit as a method of compensation (pay) even though they didn't actually participate in composing the song. Why do artists form their own publishing companies? To get the publishing royalties. Why did the owners of old blues copyrights sue Page and Plant and ultimately win? It's the reason OLGA was shut down many years ago even though everybody always put a disclaimer on their "version" of a given piece. It wasn't a valid legal defense against copyright infringement. Record companies brought suit and got 'em shut down, just like Napster. As Crank mentioned, yes I still see stuff that I can recognize as being old OLGA "personal interpretations" but these days the sites like Ultimate Guitar Tabs are paying the publishing royalties with advertising and membership fees. There're still sites out there where you can buy "official" sheet music and they even have software traps to prevent sheets from being printed for free. So you have my utmost respect for thinking to ask, but I think technically even if they're your arrangements, if you're printing the original lyrics in a Word document and making 'em available anywhere, I think it's a copyright infringement. I got a suspicion you sense that in your gut somehow and want to be sure you're doing the right thing. It's not about playing for pay or for free, it's about reproducing content that somebody holds the legal rights for reproduction to. Ever read a book that's got words from a song in it? Ever notice the copyright owner's always named and their permission to use the lyrics is always acknowledged like on the same page as the publishing history? Last edited by adorshki; 02-11-2019 at 11:36 PM. Well. I still disagree with Al on some points, but in my effort to back my opinion with other people's opinions or, better yet, facts, I found the following article. The author was focused on guitar tab sites which, in my opinion, are the functional equivalent of a listing of lyrics with chord changes. The author noted that several guitar tab sites have ceased to exist because of copyright litigation. For the most part they ran out of money rather than won, or lost, litigation but the threat was real. The article covers arguments for and against the idea that making songsheets constitutes fair use. Since the author is a real copyright lawyer the article stops short of a definitive statement but certainly implies that the safest solution would be to not make, or share, songsheets. That said, like driving two miles over the speed limit, the chances of getting caught are small enough that the risk might be worth it. Note that the quote above "From the ASCAP/BMI site:" specifically talks about performances. Licensing for a performance is different from the licensing to make a derivative work which a songsheet could be considered. So that quote says nothing about creating the songsheets or sharing them on LTG. If this is about Eldermusic, the best thing to do would be to see if you could get a lawyer's opinion on the songsheets and performances pro bono. (I include performances because I think I recall that even nursing homes were sued back when the copyright for "Happy Birthday" was in force). Failing that I would circulate potential set lists but make the songsheets available by request. A while back I made the offer to share a rather large list of "charts" that I had done. The lines in Italics are "sung in harmony. The small numbers after the chords are how many beats the get. The article covers arguments for and against the idea that making songsheets constitutes fair use. Since the author is a real copyright lawyer the article stops short of a definitive statement but certainly implies that the safest solution would be to not make, or share, song sheets. Nice read, thanks. I think it corroborates all my points but I might be prejudiced. "(3) the amount and substantiality of the portion used in relation to the copyrighted work as a whole;". As far as I've ever seen the typical sheet is a complete transcription of the work in question. It might be there as a teaching aid, but technically it's way beyond "derivative", even the author acknowledges that he'd consider tabs to be "derivative works". (and this may not be too relevant but I personally can't stand tabs and when I was cruising OLGA lo those many years ago, I was looking for sheets with chord changes, and primarily for stuff that was so old that it was out of print. Still protected? I don't know but at least that's how I justified it. And I started by shopping legitimate download sites where I could buy sheets that were still being '"published". I'd agree the chances in this specific case are likely very small, but I sense Dreadnut was trying to understand whether a copyright infringement was occurring, and in my opinion I do believe that unless he obtains permissions from the rights holders, it technically is, even though his motives are pure. If this is about Eldermusic, the best thing to do would be to see if you could get a lawyer's opinion on the songsheets and performances pro bono. I agree. In the meantime I'm sure nobody here is looking to nark you out to the system. 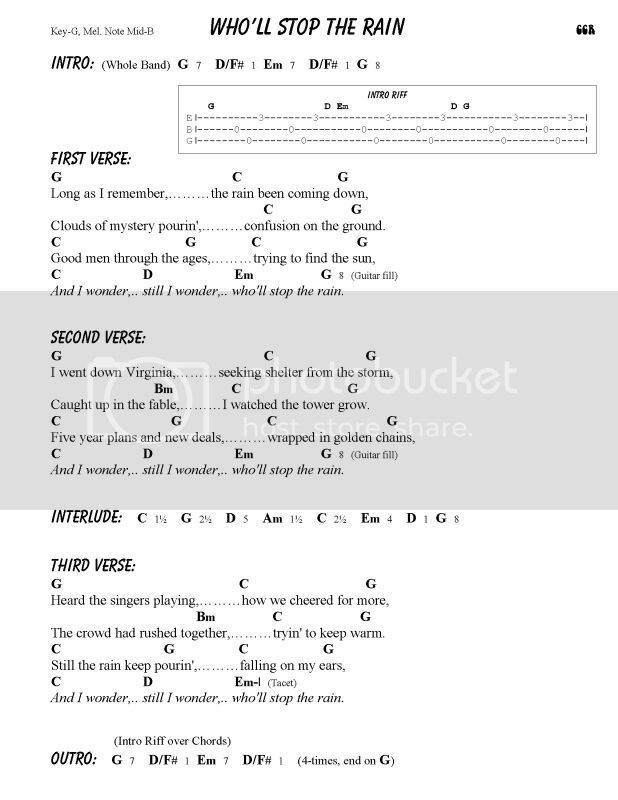 I put together my own tab sheets - I do this for literally every song I perform - I never go straight from what is on the tab sites because I hear certain chords differently and I like to use alternate voicings - anyway, I've noticed that in almost all cases lyrics from internet searches contain a few minor mistakes - I always thought they were put there intentionally so as to not violate the EXACT lyrics on file with the publishing company. I noticed with OLGA it was always a "clunker" chord, and certain contributors were better than others. The occasional lyric goof seemed to be a matter of genuine error. But we're talking '60's garage bands and one-hit wonders for which I'm not sure there was ever published sheet music except maybe in compilations. In fact I turned to the internet when my regular connection for legitimate prescription music books dried up. I was starting to develop a tolerance in any case, needed something stronger to keep getting off. Anyone want to share in these tunes? For another opinion see https://scholarship.law.wm.edu/cgi/v...6&context=wmlr which (while older) seems pretty firm in saying tabs (and by extension, IMO, song sheets) are fair use. I don't think there is a definitive answer. For something as valuable and important as Eldermusic, I would definitely talk to a lawyer about reproduction and performing, which are two separate copyright issues. If that were not feasible, I would share a list of song titles and keys with other performers. 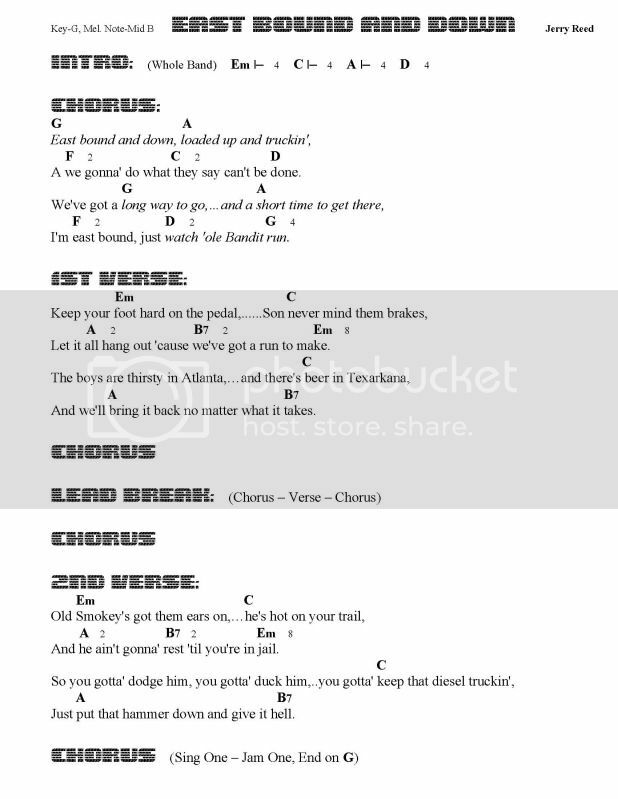 If someone did not know the song or wanted to make sure they used the same chords then you could give them songsheets and, if necessary, look a judge in the eye and say the somgsheet was created and distributed for educational purposes. You might also investigate whether there is the equivalent of the CCLI (which grants reproduction and use rights for many "church" songs) for the songs of interest and/or whether there is already a published songbook that could be used. You'd think it would be easier to know what "the right thing" was given that you want to do "the right thing". I have a CCLI license for Eldermusic which allows me to download and print songs should I decide to publish a songbook. 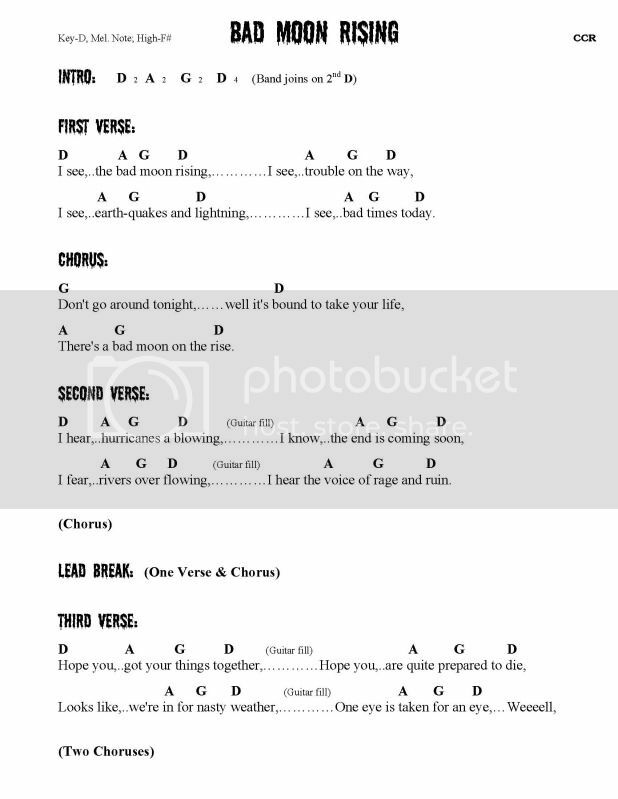 We don't use songbooks currently, just the musicians use songsheets that are already licensed. We also use a bunch of "public domain" songs. As such, songbooks are just a source of confusion for the Alzheimer's patients, so we just lead the singing and they sing along. I am also maintaining CCLI licenses for 2 other organizations. We made up songbooks and our license # is on each page. We are also allowed to publish them (not for sale), we just need to report how many copies we're making each year.